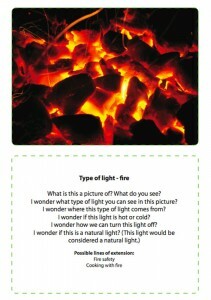 Quick summary: This activity has been developed to give children the opportunity to learn more about light and energy. Children look at light by playing with and talking about torches. Older children will also be encouraged to explore the different types of light and how they relate to energy. This activity is designed to help connect children to the wonders of the natural world through sensory and play-based learning. Equipment needed: Torches, piece of paper, fabric, cushion, room that can be dimmed with curtains or blinds, wind-up solar torch (optional), Energy flashcards (ages 3-5). 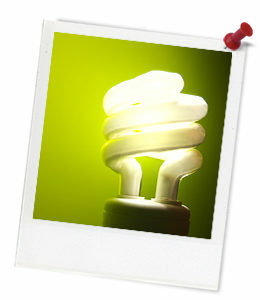 Collect items and images that are associated with the theme of light to use as conversation starters. Cool Australia Presents Energy from Cool Australia on Vimeo. Cool Australia would like to acknowledge the support of the Seedlings Early Years Education for Sustainability (EYEfS) program. Learning goals: The aim of this activity is to provide children with an opportunity to explore the topic of energy by looking at light. Children respond to ideas and suggestions from educators around the topics of light, and use play to investigate and explore new ideas. Older children will begin to develop an understanding of the relationship between the use of energy by humans and the health of our environment by participating in rich and meaningful inquiry based activities, while younger children undertake group investigations and explore their own interests as they relate to the topic of energy. Click here to download the Energy Flashcards (PDF). Print and cut out each flashcard and glue the image to the corresponding questions. Use the flashcards in the light activity for ages 3 to 5, or use them as conversation starters/provocations for all age groups.